A favorite restaurant is more than a place for good food. It is a place where memories are made and great times and conversations treasured. On Friday, my family and I were in Boston, and we were very much looking forward to have dinner in Cambridge, after hours of walking. Having spent a full year as a Fellow at the Radcliffe Institute for Advanced Study at Harvard on my previous sabbatical, and having also been at MIT for two years as a Visiting Scholar and Visiting Professor, earlier, I am very fond of Cambridge. Of course, I could even go back to my Brown University days when running track at the Harvard stadium was great fun. I used to do the two mile. We were especially looking forward to dining at the Cafe of India, which has (and as we found out "had") the best Indian food this side of the UK. In the summer, the windows of the restaurant would be open and the delicious smell of curry would permeate Brattle Street. It was located next door to Burdick's, with delicious chocolates and pastries. My year at Harvard I had an apartment on 83 Brattle Street and my office was in Putnam House where most of the other Science Fellows (only 12 of us that year) were based. I had dined so many times while in Cambridge at the Cafe of India and even took my most recent PhD student, who is now an Assistant Professor, Dr. Min Yu, there after the NetSci 2010 conference at MIT in May. This was the first time she had ever eaten Indian food and she loved it. The photos above were taken at that dinner. We were shocked to see that Cafe of India had closed, after two decades of operation, and I found an article on its closure in the Boston Business Journal. So up the street we marched only to find that Casablanca had also shuttered its doors and it had been an institution since 1955! Today's Boston Globe has an article on this closing. Within a few months of one another, these two favorite restaurants of ours had shuttered their doors. Below, I have posted some photos of wonderful meals with great friends form the US, France, and even Italy, all with whom I had spent time during that great year at Harvard. We are left with memories and, luckily, a few photos, and papers written as well as books. We'll have to find new places to meet and to make new traditions. As for other favorite restaurants that have also left Harvard Square, perhaps some of you remember Cafe Paradiso for gelato and Italian cookies, Greenhouse for great breakfasts, and Swiss Alps, for delicious dinners. Today, President Obama nominated our long-serving Massachusetts Senator, John Kerry, as his choice for Secretary of State, to replace Hillary Clinton who will be stepping down. She issued a statement commending this choice. I remember fondly hearing from Senator Kerry when I received my first Fulbright. He wrote me a letter of congratulations. He did not need to do this but the fact that he noticed, cared, and took the time to do this thoughtful act, despite his very busy schedule, speaks to his value of international exchange programs such as the Fulbright program. The Fulbright program is sponsored by the U.S. Department of State's Bureau of Educational and Cultural Affairs and is administered by CIES, a division of the Institute of International Education. How appropriate that, if approved, and all should go smoothly, he will be the Secretary of State and will even oversee the Fulbright Program! Some reflections, with photos, on my first Fulbright, which was as a Distinguished Chair in Economics at the SOWI Business School at the University of Innsbruck, Austria were published on the Fulbright Scholar Program website. I had this Fulbright just over a decade ago and also served as a Senior Fulbright Specialist in Business Administration, more recently, in 2008, at the University of Catania in Italy. It has been a very difficult week and, this morning, we are marking the one week anniversary of the massacre of innocents at the Sandy Hook Elementary School in Newtown, Connecticut, which took away innocent, beautiful lives on a golden morning during what is considered a holiday season. Everyone in the US continues to mourn and, as we go about our daily lives, we have often stopped to reflect and to remember the children and the educators and to thank the first responders. At 9:30AM today, we will be having a moment of silence at UMass Amherst, as we were informed by our Chancellor, and the bells will peel 26 times, to honor the 20 young children who lost their lives and the six educators. Nature is mourning as well -- we are experiencing torrentials rains and high winds. As we all reflect on this senseless, horrific tragedy, those of us who are educators can't help to try and ease the pain somehow in whatever way that we can. Some universities have had alums die in the massacre and have had children of alums perish -- my husband's university, the University of Hartford, for example, which has set up a Support page. The University of Connecticut has established a memorial scholarship. In times like these, we need to embrace one another for support and to watch out for one another. Make the most of each minute that you are on planet earth. It has been a real privilege serving as the Director of the Virtual Center for Supernetworks at the Isenberg School of Management at UMass Amherst. I founded the Center back in 2001 and, in 2003, the Supernetworks Laboratory for Computation and Visualization was established. The Center and Lab have hosted many luminaries from the research and corporate worlds and even from the non-profit sector. We have always emphasized scholarship and education and our website is regularly updated. It also provides a terrific timeline of visitors, research, talks given, and many other activities that the Center and Center Associates have been involved in. I always say that, by working together, we can accomplish so much more and I take great pride in the research that we have done on network systems addressing such important issues as: transportation and network vulnerability, humanitarian and healthcare supply chains, financial networks and risk management, sustainable transportation, decision-making on complex networks, including e-commerce, and, more recently, even the redesign of the Internet to offer more Choices. We have tried to advance both applications as well as methodologies. Our research and associated activities have garnered support from many different foundations, from the National Science Foundation to AT&T, the Rockefeller Foundation, the Institute for International Education, among others. I have also used funds from the John F. Smith Memorial Fund to support the Center's activities and its various missions. 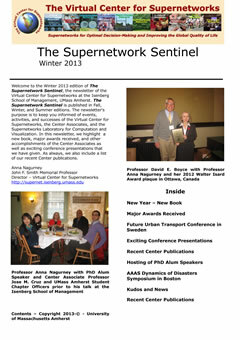 As the 2012 year draws to a close, I am pleased to share with you the 2013 Winter edition of The Supernetwork Sentinel, which is the Center's newsletter. All editions of our newsletter can be found and downloaded here. Wishing everyone a safe, healthy, and prosperous New 2013 Year! There is much that by working together we can achieve. In particular, by bringing disciplines together to harness our skills and expertise, there is some hope that we can help to relieve some of the suffering associated with disasters, whether natural or man-made. 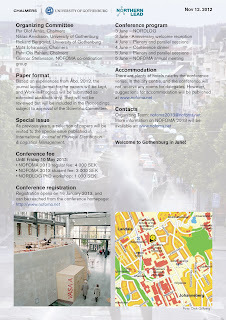 I have organized a symposium for the AAAS 2013 Annual Meeting, which will take place February 14-18, 2013 in Boston, Massachusetts. The symposium, entitled, Dynamics of Disasters: Harnessing the Science of Networks To Save Lives, will take place on Sunday, February 17. at the Hynes Convention Center. I would like to thank the AAAS and AMS for supporting the proposal that described this symposium. I would also like to thank the experts who are luminaries in their fields of engineering, operations research and management science, and optimization and supply chains and logistics, for agreeing to take part in it. Without them. and their terrific work, this symposium would not be possible. The discussants are: Dr. Jose Holguin-Veras, Rensselaer Polytechnic Institute, and Dr. Tina Wakolbinger, Vienna University of Economics and Business in Austria. Dr. Panos M. Pardalos, University of Florida, whose presentation is on Assessing the Vulnerability of Evacuation Plans via Critical Element Detection. The motivation for organizing such a timely symposium was as follows: The number of disasters is growing as well as the number of people of affected by disasters, with accompanying societal and economic losses as vividly demonstrated by Superstorm Sandy and Hurricanes Katrina and Irene. The understanding of the dynamics of natural or man-made disasters is, hence, a problem of great importance globally. However, due to the inherent nature of disasters, there are complex challenges: the critical infrastructure, including the transportation, logistical and communication systems, may have been severely negatively impacted and their functionality compromised; there is a short time window in which to respond with the critical needs products, which must be delivered in order to prevent loss of life and human suffering, and there may be great uncertainty due to the disruptions, among other complications. Moreover, there may be different organizations competing for resources and the complex interactions may result in inadequate financing, inappropriate coordination and response, congestion, inadequate delivery of supplies, including of relief personnel, etc. This symposium focuses on the dynamics of disasters, through the prism of mathematical modeling and the science of networks, to address such issues as prediction, communications, response and recovery, and the resiliency of evacuation networks. This symposium is intended to be accessible to a general scientific audience and will communicate the effectiveness of a multidisciplinary approach for the investigation of critical real-world phenomena. We hope that you can join us for the AAAS 2013 Annual Meeting and for our symposium. We were in Newtown twice yesterday and President Obama will be there today. As I had written in my most recent post, we go through Newtown, Connecticut fairly regularly as a transit point en route to and from seeing relatives. We were to have been in Newtown on Friday morning, when the horrific tragedy took place. However, although I am on sabbatical this year, I decided it would be appropriate and interesting to attend a Faculty Meeting and I wanted to to see colleagues and staff who were being honored at the Isenberg School of Management and to recognize all that they do for the school. There was a reception afterwards in our atrium. Our trip was delayed by a day and, yesterday, to honor the victims of the shootings at the Sandy Hook Elementary School and the grieving family members and community, we stopped there in the morning and then again in the evening. We were picking up our daughter from college for winter break since her last final exam was yesterday. In a small way, we wanted to offer comfort to those that we saw from the owners of the Blue Colonial Diner with the wreath below, to the waitresses and workers there, and even to the journalists. Last night, while having dinner there, I spoke with two Swedish female journalists who were seated at the table next to us. I immediately recognized the language since I spend so much time in Sweden. "How can anyone make sense of this?" one of them said to me. We saw the TV news vehicles with satellite dishes and many reporters. The diner was packed both in the morning and in the evening and one waitress said that she had known all the children who perished. In a small community one can't help but recognize and interact with others. Several said to us that "Friday was the hardest day" and the weariness and pain of all was palpable. On a bridge someone had hung up a big hand-made banner which said: "We love (in the form of a big blue heart) Sandy Hook Elementary School." The horrifying news from Newtown on a beautiful Friday morning when children were in school, parents were at work or at home, during a season that is to be filled with peace and joy, has shocked the country and the world. We have been to Newtown, Connecticut many times as a drive-through town en route to visit relatives. 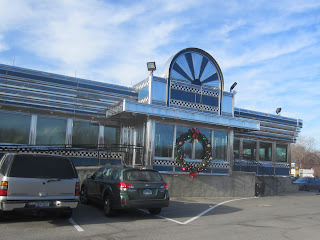 We stop and eat at the Blue Colony Diner in Newtown. What we have enjoyed in the diner is not only the delicious food, but also the warm service, and the people that we see there -- very friendly, in groups, enjoying one another. This diner in this community has been a respite for my family on many trips. What can only be viewed as a terrorist attack at the Sandy Hook Elementary School in Newtown, with even President Obama delivering a very moving speech, as a loving father, signals, in an extremely painful way, that our society is losing some of its core foundations. We can take some solace, as we grapple with this tragedy, that, as the events unfolded, there were so many heroes at the school -- including teachers who secured, sheltered, and protected the children. When I saw the news I, as many others, was shell-shocked, and I immediately reached my husband, who is a faculty member at the University of Hartford. He told me that he had been to Sandy Hook Elementary School in the late 1990s when he was the Connecticut Space Grant Director. He was there to give an award to the school's kindergarten class, at that time, for their development of a "Magic Treehouse" type set of web pages on Space Exploration. When he visited the school, he also brought with him a set of books on space for its library. Reach out to one another, especially to the innocent children, and live each day to the fullest. Do what you can in and for your communities. Our deepest sympathies to all those who suffered incalculable losses of loved ones. We are all thinking of you and have you in our hearts and prayers. This is a very special time of the year with festivities, holiday decorations, bright lights, and many pleasant get-togethers. This is also a time when some of us very much enjoy baking cookies and delivering the finished products to friends and neighbors. I have written about my cookie baking in the past and am glad that I am joined by other academic colleagues, who enjoy baking as much as I do, and who also post photos of the finished products -- thanks to Dr. Laura McLay and to Dr. Tallys Yunes and I am sure that there are others. This year, the inputs into my cookie production processes included: almonds, walnuts, and pecans from California, chocolate from Switzerland, rum from Bermuda (which we brought back a few years ago), cherries from Florida, flour and sugar, local eggs, yummy vanilla, and local jam. I had done R&D to innovate my cookie selection this year, and included a recipe from my wonderful Swedish staff person at the School of Business, Economics and Law at the University of Gothenburg, Ms. Hall, who not only had baked some of these delicious Swedish cookies for me but had also provided me with the recipe. I procured many of the ingredients several nights ago and last evening had the assembly line up and running. As one batch of cookies baked (pecan sandies, almond treats with cherries, Swedish tarts with jam, coconut macaroons dipped in chocolate, and more ) I also made rum balls, which did not require baking. We academics are really good at parallel processing (multitasking) as well as scheduling. My other innovation this year was to use parchment paper -- no cookies sticking and easy cleanup (my husband's job). This helped with the efficiency. The joy of baking! Not only did the house smell great from all the aromas but it was also a lot of fun to arrange the cookies on plates for delivery. I will spare you the photos of what the sink looked like. As for the cookies that I sampled -- a baker needs to make sure the finished product is delicious -- I can attest that the pecan sandies and the rum balls were the best that I have ever made. And, I heard even from one of my former undergrads in Operations Management at the Isenberg School of Management, who said that he was getting ready to make my rum balls for his family for Christmas (I had given him the recipe since he had sampled some at one of our INFORMS Student Chapter parties and the rum balls have become a tradition in his family). The greatest pleasure is seeing the smiles on faces when we ring the doorbell to give a plate of our cookies! Transportation (and consumption) are also essential components of cookie supply chains! Of course, it is also great to practice what you preach and to show that their is actually some scholarship involved I managed to find a research article on a bakery that cites one of our supply chain papers. The academic job market this year, at least in such fields as operations research / management science / operations management, is terrific, judging not only by the number of openings for tenure-track faculty positions and job listings, but also from the number of campus interview visits that my most senior doctoral student has secured this year. This is great news for our discipline! Last Friday, we hosted one of my former doctoral students, Dr. Jose M. Cruz, who received 5 degrees from UMass Amherst and who is now a tenured Associate Professor and Ackerman Scholar and Director of the Masters Program in Business Analytics and Program Management at the School of Business at the University of Connecticut (UConn). He gave a fabulous presentation, the slides of which, he has given us permission to share. His talk was on The Myths and Facts of How to Get a Tenure Track Academic Job and How to get Tenure. The slides of his presentation can be downloaded in pdf format here. He interspersed his presentation with many anecdotes and real life experiences and enthralled the audience with useful tips and with his energy and insights gained from many practical experiences. The slides are easy to follow and very useful and enjoyable (of course, not as great as actually being there but very helpful, nonetheless). 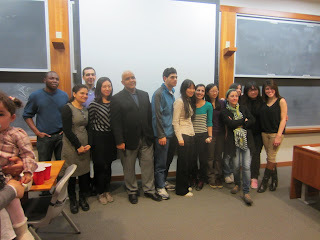 Some photos from his talk and the UMass Amherst INFORMS Student Chapter party that followed have already been posted. The Isenberg School of Management constructed a nice photo album of our activities that day. on Facebook. Yesterday, was the last day of classes at UMass Amherst and we had the pleasure of hosting one of our distinguished alums, Dr. Jose M. Cruz, who has 5 degrees from UMass Amherst, including an MBA and PhD with a concentration in Management Science from the Isenberg School. I was his doctoral dissertation committee chair and am very proud of him. He received his promotion to Associate Professor with tenure at the School of Business at the University of Connecticut this past year and has received accolades for his teaching and his research. Many of the students who are part of the UMass Amherst INFORMS (Institute for Operations Research and the Management Sciences) Student Chapter helped out with the hosting of the talk and with the party afterwards. Our students know how to do logistics-- I was impressed! 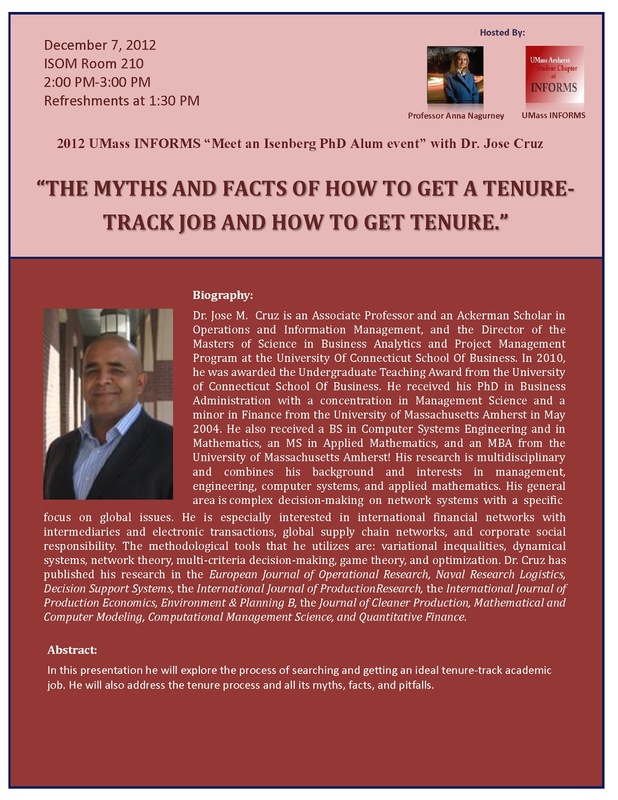 He spoke on The Myths and Facts of How to Get a Tenure-Track Job and How to get Tenure and we will be posting his slides soon since this topic is of interest to many PhD students and Assistant Professors. His insights and energy were amazing and we listened mesmerized. The feedback and questions for the audience were also terrific. His talk started at 2PM and lasted until shortly before 4PM (there was a lot of territory to cover) and at 4:30PM our end of the semester party was scheduled in the same room. As is our tradition, we had international cuisine and it was truly a fabulous way in which to mark the end of another semester. The students handled the logistics of procuring the food, and preparing it in some cases, and then transporting it in a timely manner. The food was so delicious!!! Although I have been engrossed in writing a long research paper I baked cookies and we even brought varenyky (pierogies, for some of you) and kielbasa. We had all earned our appetites. It takes a lot of people to build a community and this student chapter with members from the Isenberg School of Management and the College of Engineering I commend not only on its great activities, but on its creativity, organizational skills, and the esprit de corps of its members. Student members are from the US, India, Korea, China, Nigeria, Iran, Turkey, and other countries and they work so well together. There is hope for the world when I see such great students. We had fun and Dr. Cruz also enjoyed the party very much! I have been approached over the years by headhunters and by administrators as well as faculty asking me whether I would be interested in being a Dean. Having seen a lot as a faculty member, not only at my own university, but also at other universities at which I have had various appointments (Harvard, MIT, Brown, the Royal Institute of Technology, the University of Innsbruck, and, most recently, the University of Gothenburg), and having had numerous discussions with many faculty and having served on numerous search committees, I have given such invitations serious thought and consideration. I have been a faculty member under "permanent," interim, and, my favorite -- "acting" deans. I have also worked under DITS (just this past weekend a colleague told me that this acronym stands for "Dean in Training"). Indeed, she nailed it -- having a positive impact. But what concrete steps can result in a truly positive impact? Communicate regularly with faculty and outside constituencies through such simple (but very important) things as giving pats on the back for great work, writing a nice personal note, making sure that newsletters are published and are online, publicizing accomplishments to all electronically and otherwise. I would nominate my deserving faculty for rewards, awards, and recognitions and would celebrate their achievements, recognizing that different individuals have different strengths and talents. A wonderful past Dean would have flowers delivered to my office and even to my home when there was a notable accomplishment and I still have certain thank you notes from him. (Is it surprising that he was also outstanding at raising funds -- clearly not -- everyone responded to his genuine warmth and caring and although he is no longer a Dean, he is still sought after for advice). Have integrity and right wrongs when and where needed. Be proactive. I have seen too much of a "it's a departmental issue." But if there is no leadership at the departmental level, this is a major copout. True leadership MUST come from the top. My model of a truly outstanding Dean was Dean Robert J. Birgeneau of MIT. He was the Dean of the School of Science at MIT who not only established the Committee on Women Faculty with a report that demonstrated with data how women faculty were marginalized there and what was needed to be done. You can read the historic events in The MIT Faculty Newsletter Special Edition. The study and analyses demonstrated that making institutional change must come from the top and that administrative support is needed. The problems that needed to be addressed regarding female faculty included: unequal resources and rewards; undervaluation of equal accomplishments, marginalization of women as they rise (this never stops, does it? ), family-work conflicts, and the small number of female faculty. Now for a fascinating fact -- in 1960 there were ZERO female faculty in science and engineering at MIT. Birgeneau helped tremendously to change the environment at MIT but, once he left, the momentum receded. He left MIT to go to UC Berkeley and the hiring of female faculty went flat again. If you have the time (I listened and watched spellbound) you can learn more about these issues in a video lecture by Dr. Nancy Hopkins of MIT given recently in Hong Kong, entitled:, "Addressing the Under-representation of Women Faculty in Science and Engineering at MIT - A Data-driven Approach" A faculty member at HKUST who was in the audience and is a dear friend brought this video to my attention. You can hear Dr. Hopkins talk about how she walked around at MIT at night with a tape measure to measure the lab spaces given to various faculty. Support the intellectual life of the community. Education happens not only in the classroom but also outside the classroom. In a university it is essential to have speakers. I have personally used my own funds to support speakers over many years. You can see the lists over many semesters of individuals from whom we learned a tremendous amount. These talks were not required and we packed them in. Faculty came from throughout the UMass Amherst campus and some audience members came from as far as Boston, and even Vermont, and New Jersey. However, there comes a time when (and I did this for 14 semesters) when it is time for the administration to step up and support such activities and not just have a single female not only helping the students through the UMass Amherst INFORMS Student Chapter to organize the series but to also fund the majority of it. Shape the direction of the school through inputs from faculty, students, staff, alums, and other constituencies. Be a bridge builder. Without substance and content a "brand" has no meaning. A reputation is built on the quality of the curriculum, the advances in research and knowledge, and on the excellence in terms of both breadth and depth of outreach activities. It also rests on the ability to work as a team and with proper incentives in place. Give others a chance. Don't just appoint and reappoint those who have had opportunities in the past. Invite new faces to serve on important committees or as administrators, if they so wish to. The great news arrived this morning from Sweden and came from a doctoral student who is doing some really interesting research. He was notably proud and wanted to share the wonderful news about his doctoral dissertation advisor. I have been smiling non-stop since it is special to see individuals who are not only scholars but who are genuine mentors to their students, colleagues, and beyond being recognized for their contributions. Also, when really nice people get recognized one gets the sense of some justice in this world. Johan Woxenius, Professor of maritime logistics and transport economics at the School, has been named a member of the Royal Swedish Academy of Engineering Sciences, IVA. Johan Woxenius has been elected to the IVA, Title III Planning. He has an MSc and a PhD in transport engineering from Chalmers. He is a Professor of business administration, with a focus on maritime logistics and transport economics at the School. Woxenius is one of the driving forces in the cooperation between Chalmers and Göteborg University in competence centers Lighthouse Maritime and Northern Lead in logistics. He sits on the Göteborg Energi Research Council and is a board member for the School. IVA chose the 24 new members at its recent academic gathering. Among those also noted: Klas Eklund, senior economist at SEB, Stockholm Stock Exchange CEO Jens Henriksson, Swedish Radio's former CEO Mats Svegfors and the President of Nordstjernan Viveca Ax: son Johnson. IVA was founded in 1919 and is the oldest engineering academy of sciences and has now 904 Swedish and 265 foreign members. Professor Woxenius has been a wonderful colleague during my visits to the School of Business, Economics and Law as a new Visiting Professor there. He is outstanding at organizing workshops and conferences and bicycles to work. Conveniently, our office suite even has a shower! His energy and enthusiasm light up the school and our suite of offices. Below, in his honor, I have posted a photo taken at the Future Urban Transport conference, which took place in Gothenburg in October. Congratulations to Professor Johan Woxenius on this great and much-deserved honor. Professor Woxenius is standing between me and Professor Michael Browne of the UK, who is also a Visiting Professor in our group at Gothenburg. I have promised to take him out for a celebratory meal with treats when I am back in Gothenburg (Göteborg) and could not resist, to whet appetites, posting some of the treats in the city below. Several Ivy League universities have been searching for Presidents this year and Dartmouth just announced that its 18th President will be a Dartmouth alum, Dr. Philip J. Hanlon, who graduated from Dartmouth in 1977 and then went on to get a PhD at CalTech. But what I find especially exciting is that he is a mathematician and, as Provost of the University of Michigan, has been teaching freshman calculus! He hopes to also teach some math courses as President of Dartmouth, which is terrific and time will tell, and his schedule, whether he will be able to pull this off. Plus, his PhD advisor at CalTech was a female, Dr. Olga Taussky-Todd, as you can see from his cv! The New York Times has a nice photo and article on Dr. Hanlon. I remember taking calculus for two semesters as a freshman at Brown University and I was taught by Professor Joseph LaSalle, who was one of the founders of dynamical systems. I would regularly visit him during his office hours to chat and together we would model how his coffee would get cold, among other problems. I'll never forget having one of the most famous applied mathematicians of his time teaching me calculus and I hope that it was worth it since I ended up getting a PhD in Applied Math from Brown and my love of math modeling and computing is in part due to my great freshman calculus teacher. Coincidentally, I used one of Taussky-Todd's theorems in my PhD dissertation since I needed one of her results to prove some of my theorems! I wish Dr. Hanlon much luck in his new position. Dartmouth has made a terrific choice. The suspense continues, though. I wonder who will be the next President of Princeton University? 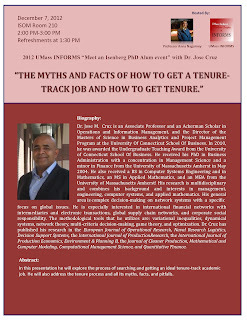 We are pleased to announce a guest speaker, Dr. Jose M. Cruz. He will be visiting us on Friday, December 7th, 2012. Dr. Cruz is an Isenberg PhD alumnus, class of 2004, and also holds an MBA from the Isenberg School. He has a total of 5 UMass Amherst degrees! His talk is being hosted by the award-winning UMass Amherst INFORMS Student Chapter that I have served as a Faculty Advisor of for 8 years. Dr. Jose M. Cruz is an Associate Professor and an Ackerman Scholar in Operations and Information Management, and the Director of the Masters of Science in Business Analytics and Project Management Program at the School of Business at the University of Connecticut. His research is multidisciplinary and combines his background and interests in management science, engineering, computer systems, and applied mathematics. His general area is complex decision-making on network systems with a specific focus on global issues. He is especially interested in international financial networks with intermediariation and electronic transactions, global supply chain networks, corporate social responsibility, and risk management. The methodological tools that he utilizes are: variational inequalities, dynamical systems, network theory, multicriteria decision-making, game theory, and optimization. He has published in many journals, including the European Journal of Operational Research, Naval Research Logistics, and Quantitative Finance. He is the recipient of several awards including UConn's School of Business' Undergraduate Teaching Award. 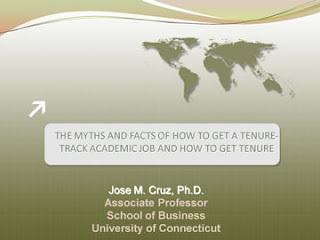 Title of the Presentation: The myths and facts of how to get a tenure-track job and how to get tenure. Dr. Cruz was my doctoral student and his dissertation was entitled: INTERNATIONAL FINANCIAL NETWORKS AND GLOBAL SUPPLY CHAINS: A UNIFIED FRAMEWORK FOR DECISION-MAKING, OPTIMIZATION, AND RISK MANAGEMENT. Specific information on the talk as to time and location can be found on the nice poster featured above, which was prepared by the students. This past year I was a very proud "Academic Mom" since not only did one of my doctoral students at the Isenberg School of Management receive her PhD and assume an Assistant Professor position (Dr. Min Yu is now at the Pamplin School of Business at the University of Portland in Oregon) but 3 former doctoral students received promotion and tenure -- Dr. Jose M. Cruz is now an Associate Professor at the School of Business at the University of Connecticut in Storrs and also an Ackerman Scholar, Dr. Fuminori Toyasaki is an Associate Professor in the School of Administrative Studies at York University in Toronto, Canada, and Dr. Ke "Grace" Ke is an Associate Professor at the College of Business at Central Washington University.in Ellensburg. Also, this year, another doctoral student of mine is on the job market and another former one is preparing his dossier for his promotion and tenure case. So, I have a lot of experience both placing doctoral students and also seeing them get promotions and tenure, which is wonderful! Tenure, for the non-academic readers, means that one has a job for life (unless there are some very rare circumstances or one gets into real trouble). In academia, if one is in a "tenure-track" position and an Assistant Professor, one, typically, comes up for promotion to Associate Professor with tenure in the sixth year. The packet that one prepares has to include research contributions, teaching contributions, and also, usually, service ones. When it comes to the evaluation of research, outside letters are solicited from those who are deemed knowledgeable to be able to comment on the candidate's research. The person coming up for promotion and tenure is usually asked for a list of names and contact information and then other names are decided upon by the chairman and personnel committee (there may be variants of this process, but this is, more or less, the typical process). The chairman may request as many as 8-10 names from the candidate. Now, certain colleges and universities have quite stringent restrictions as to who may be on the list. This is why it is important to start building one's networks shortly after receiving the PhD and assuming the tenure-track Assistant Professor position. Advisors (dissertation chairs) often are not allowed as outside letter writers and neither are your collaborators or often students who had the same advisor as you did. Oftentimes, one cannot have another faculty member as a letter writer from the same university and college system. 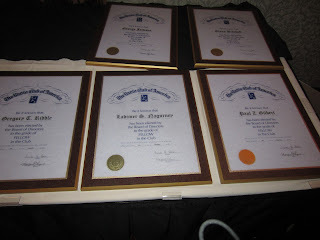 Of course, who knows you the best -- those that you have worked closely with (such as your dissertation advisor) and those that you have co-authored papers with (usually members of your doctoral committee also are not appropriate letter writers). It is important that when you get asked to present such a list that you are not left with an "empty feasible set," meaning that you cannot think of anyone who would be willing to write a letter for you (and, hopefully, the letters will be positive). Usually, the letter writers have to be tenured Associate Professors, if not Full Professors. so they are senior to you. Some colleges and universities do not allow letters from industry (which I find strange since some outstanding research can be done in corporations and if you are a faculty member at a business school having impact in business to me is a plus). So how does one begin to build a network of individuals that might be willing to write letters for you once it is time for promotion and tenure? Every year I get asked to write such letters and enjoy doing the evaluations. Clearly, if you have published regularly in a journal and have also refereed and done a great job, then having an Editor or Associate Editor of a journal that is familiar with your work as a possible letter writer is an excellent possibility. Also, if you have contributed to edited volumes of books or special issues of a journal, then the cognizant Editor may be willing to write a letter for you. Also, those whose work you cite in your papers and who know you and your work are also natural ones to evaluate your research. Now, another challenge is that some schools forbid you to contact the prospective letter writers beforehand so you should have sufficient "good will" that when you suggest a name that person will not only know you but will be an enthusiastic letter writer for you. 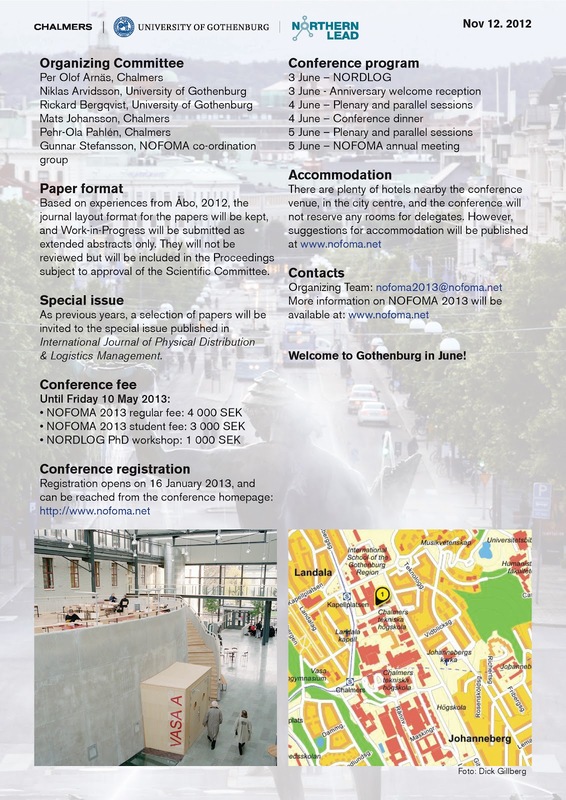 It is important to be active not only in writing papers and getting them published but also in talking about your work at conferences and seminars. Be willing to organize sessions at conferences and do speak to people at conferences so that they become familiar with your work. Do let others know about your research and papers and do your best in being visible in a positive way, of course. To all those undergoing promotion & tenure this year, best of luck, and to those who have a ways to go, I hope that this post is helpful. Happy Thanksgiving and Thanks to My Great Students and Collaborators! Many have traveled by planes, trains, busses, and/or cars or perhaps walked to get to their destinations today to celebrate Thanksgiving. Some will be the hosts and the delicious aromas of the turkey baking, along with all the fixings, are permeating homes. Others who have lost homes and are struggling, hopefully, will be welcomed by their communities where there are volunteers to make sure that all those in need feel welcome. As I communicated with my doctoral students at the Isenberg School of Management and several close collaborators yesterday, it has certainly been a very eventful year. Some responded by saying that they remember celebrating Thanksgiving dinner over our home and were introduced to such traditions by my family. I'd like to take this opportunity to give thanks to all those who have offered me advice and support this year, especially colleagues at INFORMS, at WORMS (Women in Operations Research and the Management Sciences), RSAI (Regional Science Association International), the AMS (American Mathematical Society), and my wonderful new colleagues at the School of Business, Economics and Law at the University of Gothenburg, where I have been spending part of my sabbatical this year. Special thanks to my great students and collaborators. Alone we can only do so much but together we can accomplish tremendous things and also have an enjoyable time working together! With best wishes to everyone for a safe, warm, and inviting Thanksgiving Day! The photos below were taken at a Thanksgiving dinner that we hosted a few years back to which I invited my doctoral students at that time. They all successfully graduated and several have achieved tenure (even in record time). These memories we will always treasure. I spent 3 days in NYC recently. Usually, when I travel it is to give a talk or to attend a conference but this time I was playing the role of a "spouse" and was in NYC to support my husband who was being honored by the Radio Club of America. The weather at this time of year could not have been better so we walked for miles. The Christmas tree was up in Rockefeller Center but had not yet been decorated and the shades were still drawn at the Saks windows. Several major stores (lucky for us) had already decorated their holiday windows and the below photos were taken at Macy's (which will be the destination of the Thanksgiving parade this Thursday as it has been for many years), at Lord & Taylor's, and at Tiffany's. I thought that these displays captured so well the magic of this season and, given all the major weather events of the past year including, Superstorm Sandy, it was relaxing to just view some beautiful window displays. Happy Thanksgiving to all those who celebrate this special holiday! When I was an Assistant Professor at UMass Amherst, after receiving my PhD from Brown University, two colleagues from Marketing, who have since left, and have had prominent careers, Professor Tom Madden and Professor Bill Dillon, used to tease me that "they don't do windows." The beauty and artistry in the above (and the Tiffany window displays are miniatures), can't help but inspire. 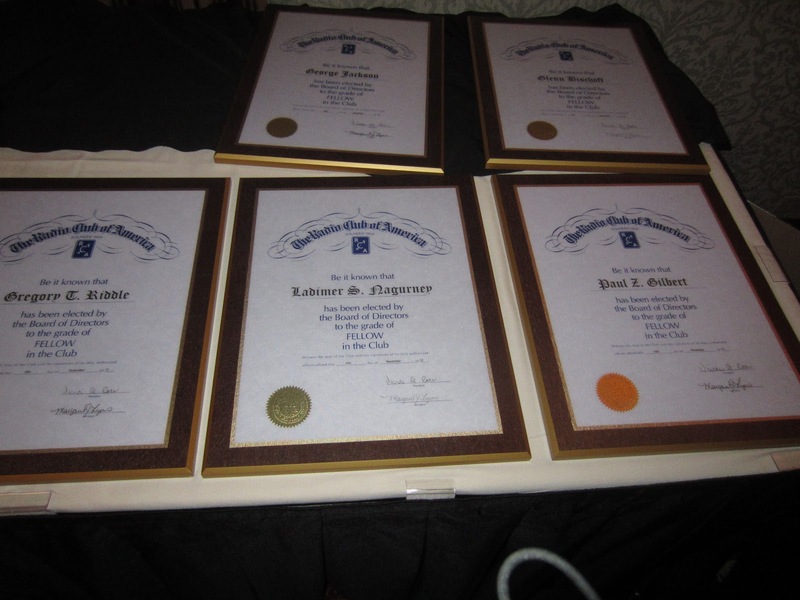 We recently returned from NYC where, this past Friday, my husband and I attended the 103rd Anniversary Awards Banquet of the Radio Club of America at the New York Athletic Club on Central Park South. The evening was truly special, with the recognition of individuals who have contributed in a multiplicity of ways to radio communications and broadcasting, education, and even to engineering and the manufacturing of radio communications equipment. Among the honorees was Ms. Carole J. Perry, who received The President's Award for her outstanding development and advancement of the Amateur Radio Youth Program. Ms. Perry is from Staten Island, and in her acceptance speech, she, as did several others, spoke of the devastation wrought by Superstorm Sandy. She noted that even though some still do not have power they still have strength! Ms. Erin King, who is a freshman at MIT, received the Young Achiever Award. David Buchanan received an award for his contributions to public safety. I was at the banquet since my husband, Lad Nagurney (the other Professor Nagurney), was one of the five recipients of the Fellow Award. Glenn Bischoff, the Publisher of Urgent Communications, was one of the other Fellow awardees, and I very much enjoyed talking with him about disaster communications and humanitarian logistics. The keynote speaker was David Sumner, the Chief Executive Officer and Secretary of the American Radio Relay League (ARRL). He had recently returned from Vietnam. He was the contact person who had suggested, when I was organizing, under the auspices of the Rockefeller Foundation's Bellagio Center Programs, the conference on Humanitarian Logistics: Networks for Africa, that I have Dr. Cosmas Zavazava of the International Telecommunications Union of the United Nations, speak. David Sumner spoke brilliantly on the importance of communications, especially robust radio communications, in saving people's lives. Brian Williams had been the keynote speaker at last year's banquet, and Walter Cronkite, the year before he passed away..
We had a wonderful group of fascinating people at our banquet table, including Andrew Conte, and his wife, who had spent a year at UMass Amherst on an exchange program from Rutgers. Mr. Conte received the Jack Poppele Award, named after the founder of the radio station WOR and Director of the Voice of America under President Eisenhower. Congratulations to all the award recipients and thanks for all that the members have done over one century in communications and in education! I recently returned from the 59th Annual North American Meetings of the Regional Science Association International in Ottawa, Ontario, Canada, November 7-10, 2012, which was wonderful not only scientifically but also socially. At the conference the Japan section of the RSAI also honored Professor David E. Boyce for his research with a wonderful dinner, medal, and certificate. Last Saturday, at the conference, I also was completely surprised and so deeply honored when NARSC (North American Regional Science Association Council) presented me with the Walter Isard Award for my scholarly contributions. Walter Isard was the Founder of Regional Science and someone whose legacy because of his writings, mentorship, leadership, and wide impact globally will continue to inspire new generations. Conferences are special -- we get together to present our latest research, to reconnect with colleagues and friends, to learn from one another, and to celebrate achievements and recognitions. Conferences also may take place in interesting locations/destinations so, in going, one learns also from travel experiences. There are several upcoming conferences that may be of interest to some of my readers. These are smaller, focused conferences in locations that I have been to and have very much enjoyed. I admit, I am involved in these conferences in various capacities (on the program committee, for example, or as an invited speaker), so I do care about their success. 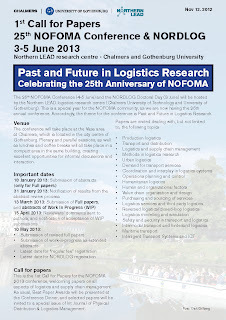 Gothenburg, Sweden, June 3-5, 2013. 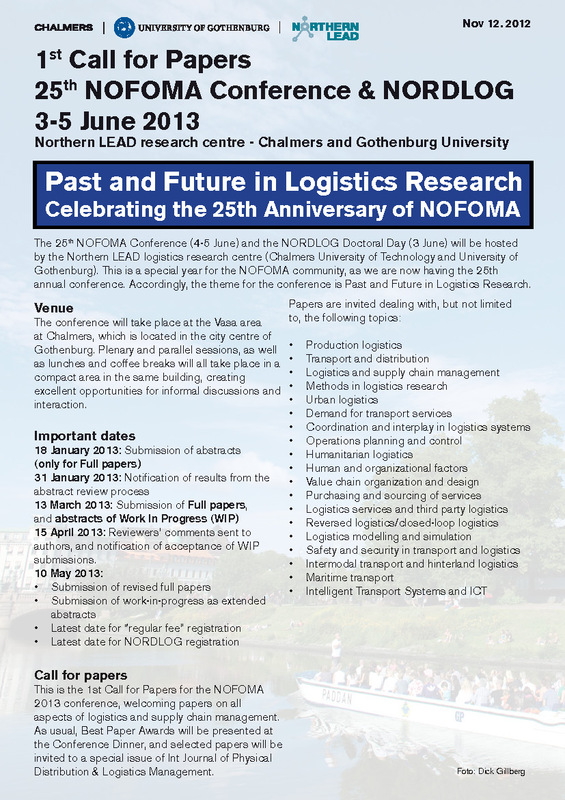 The flier below is for the above logistics conference in Gothenburg. And, just to further pique your interest, below I have posted several photos of Gothenburg taken this year since I am a Visiting Professor at the School of Business, Economics and Law at the University of Gothenburg and have fallen in love with the city and its people plus all that the city has to offer! More photos of Gothenburg are available here.